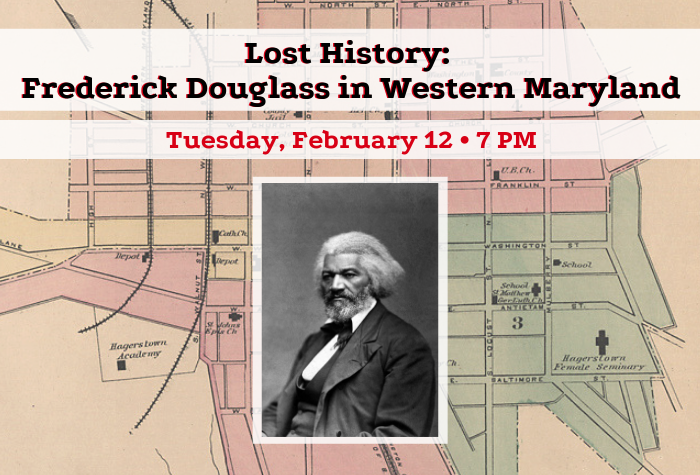 Frederick Douglass rose from the depths of slavery on Maryland’s Eastern Shore to travel three continents and counsel a half-dozen Presidents.You may think you know his story but did you know he visited Hagerstown?! In 1879 Douglass took a train to “Hub City” where he delivered an address to benefit Bethel African Methodist Episcopal Church. Future United States Congressman and United States Senator, Hagerstonian Louis E. McComas introduced Douglass before he spoke at the court house on Washington Street. Hear historian and author John Muller share never before published details of Dr. Frederick Douglass’ visit to Hagerstown walking the community and lodging in the historic Washington House. Earlier in the day, John Muller will host a walking tour through the Heart of the Civil War Heritage Area. This evening program is free to attend. Registration is not required, but is appreciated. This entry was posted on January 4, 2019, 6:22 pm and is filed under Uncategorized. You can follow any responses to this entry through RSS 2.0. You can leave a response, or trackback from your own site.